This is the one you really want. 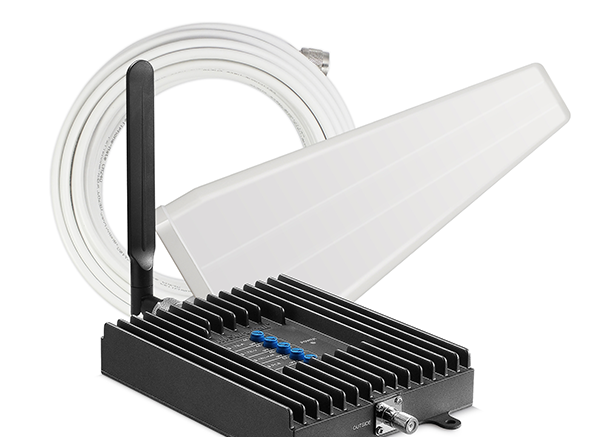 SureCall’s Fusion4Home is the signal booster that combines industrial design and power with customer-friendly pricing. 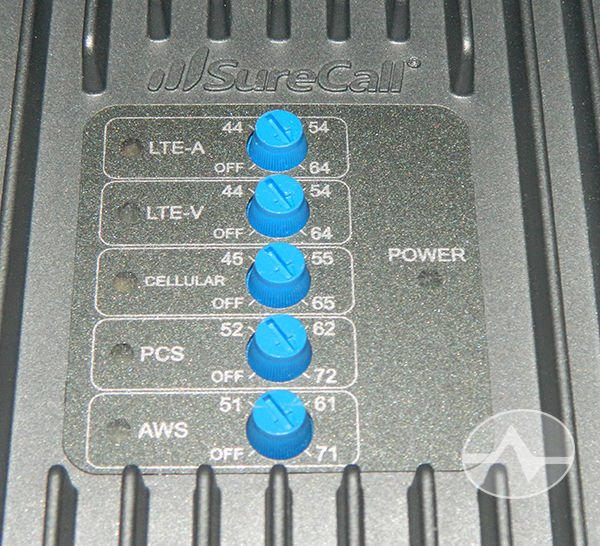 It’s a 5-band booster with up to 72dB of boost, 4G and LTE capability, and a variety of install options. It’s like paying for a Hyundai and getting a Mercedes in your choice of color. At least that’s what I’m told. The fine folks at SureCall sent me one for evaluation purposes and I’ve been playing with it for a while. I’m ready to tell you what I found. The world of cellular boosters got a little more complex in 2014 when new FCC rules came into effect. These rules were supposed to make things easier for consumers but it ended up making things more complicated for manufacturers. Under new rules, cell boosters have to be sold as complete kits, which sounds great, but it means that if you don’t want the exact kit the manufacturer makes, you end up paying extra. For example, if you want a larger outdoor antenna, you have to pay for the smaller one because it comes in the kit. Some manufacturers do it that way… they sell you a basic kit and make you pay more for the upgrades. SureCall has created kits for every need. This one booster comes with different outdoor and indoor antennas to make it easier for you to find what you want. 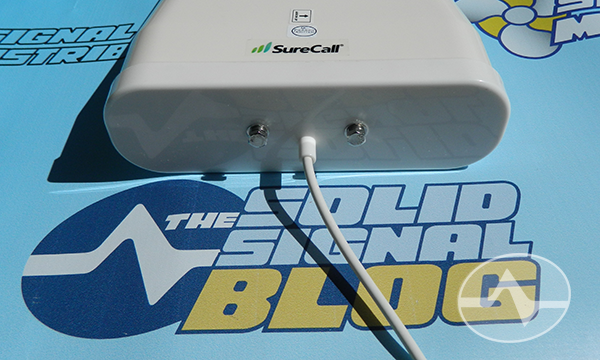 To shop for the right kit, go to the product page at Solid Signal and choose the option you want. If you are pointing at a distant cell tower, choose an outdoor yagi antenna. If you are in the middle of many towers, choose an omni. 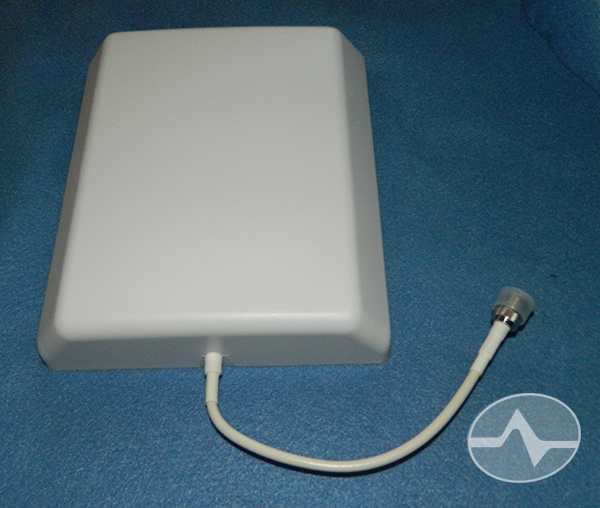 If you need strong boost for one room, choose a whip indoor antenna, and if you want coverage for a larger open area, choose the panel antenna. 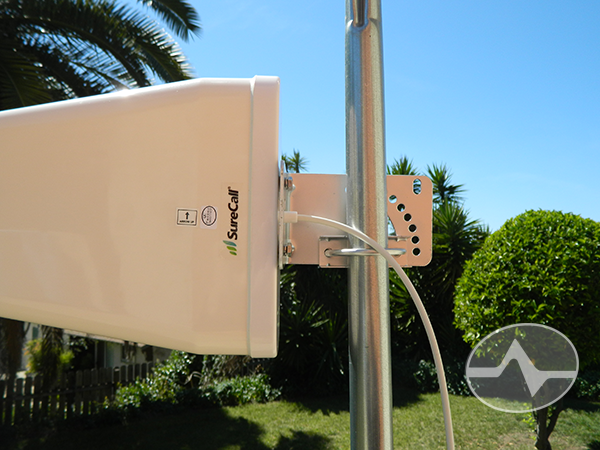 SureCall sent me the outdoor yagi antenna with both the whip and panel antennas. I actually ended up testing the configuration with the whip antenna because the panel antenna was too strong! But more about that later. This is the heart of the system. It’s a booster designed for 65-73dB of boost. That means that in theory it should be about 100 times more powerful than a low-end 45dB booster. It will handle all 5 bands used in the US, meaning that you’ll get voice for all carriers, and data for pretty much everyone but Sprint. The booster is solidly built of high-quality metal, but the thing that’s going to scare people, I just know it, is those five blue knobs. 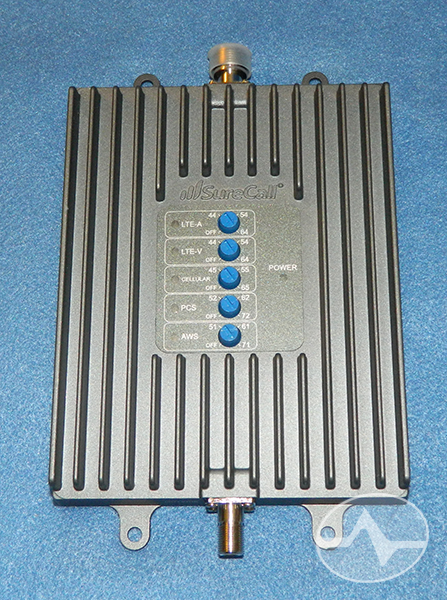 I know that our Solid Signal customers really like auto gain control and they don’t like turning knobs. The good news is that in most cases you’ll never touch those knobs. The booster comes set for maximum power and will automatically adjust to keep power levels at the best they can be. If you do choose to turn the knobs, you can but you don’t have to. It’s like having the best of both worlds. This is the outdoor antenna. 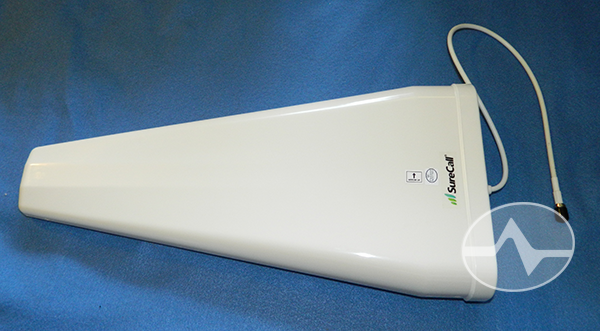 The yagi-style antenna brings in maximum signal from a single direction. As I said the system is also available with an omni antenna. 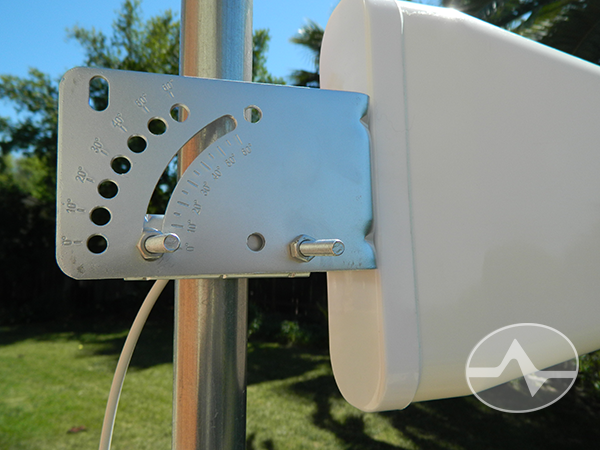 The antenna comes with a mounting bracket and U-bolt for attaching to a mast. To attach the antenna to a mast, start by removing the two bolts from the left and right sides of the antenna and putting the bracket on. You’ll need a 10mm wrench or adjustable wrench. 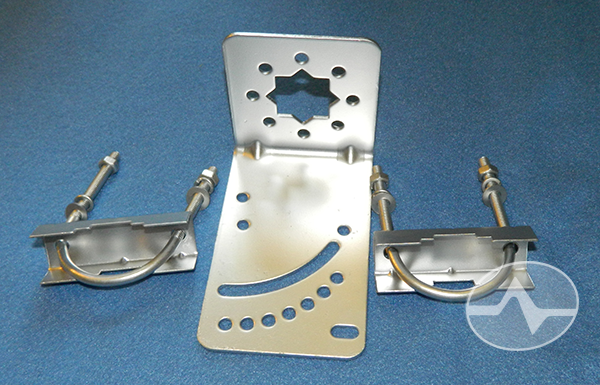 There are many holes to choose from, just choose the two that will allow you to mount the antenna vertically. There’s a little sticker showing “this side up” on the antenna to make it easier. As I said there are a lot of mounting options. 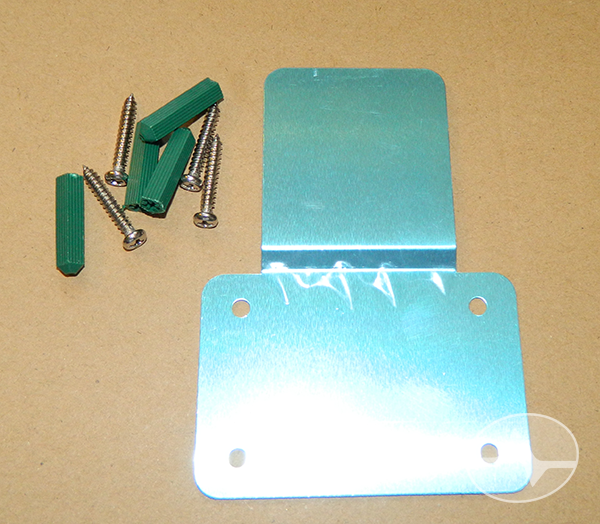 The bracket itself could mount straight to an eave or to a roof, there is going to be one set of holes that works for you no matter what. You absolutely need to put this antenna 15 feet up or 30 feet from the site of the indoor antenna. I found this out myself when I went to mount it in place of the booster in our offices. The antenna pulled in so much signal that the booster overloaded and shut itself off. This is a safety feature and it is easy enough to deal with… just make sure you put plenty of distance between the outdoor and indoor antennas. It’s a good idea anyway because you’ll get better booster performance with the antenna up high. 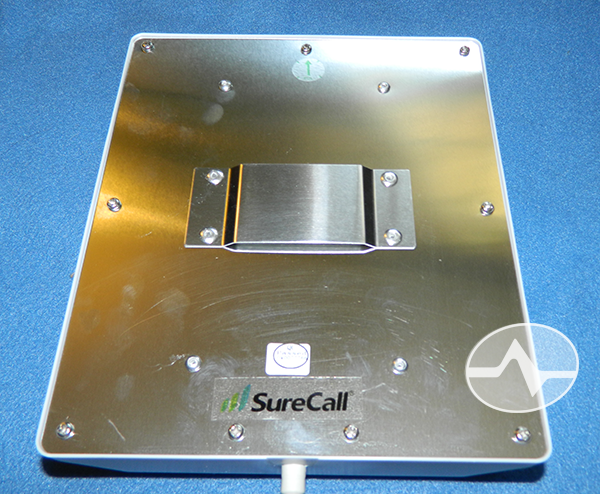 This is the indoor panel antenna. It’s designed for large open spaces. It mounts on a wall and provides a large area with coverage. The antenna mounts easily with this bracket which attaches to the wall and lets the antenna slip onto it. This is the back of the antenna which shows how you would slip it onto the bracket. I had planned to do all my testing with the panel antenna but even with the outdoor antenna up 15 feet the panel antenna was too strong for our test labs. Seriously, I would recommend the whip antenna if you have a small home or else you’ll end up not using the massive power of this booster. 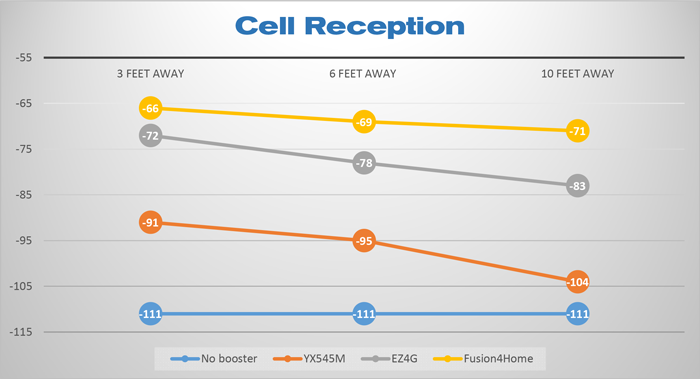 I tested the Fusion4Home against the SureCall EZ4G and the YX545M that is usually in place in our lab. The results were phenomenal. What you need to know here is that I actually had to do the test multiple times because the Fusion4Home had so much power that it was automatically cutting itself back. The power was much more linear as I got further from the booster and I never saw a reduction from 5 bars, even 10 feet away through two walls. I don’t have test data for the other boosters past 10 feet because it wasn’t relevant, but I did one more test at 25 feet through four walls and still got -87dB meaning that this booster was about as powerful at 25 feet away as the YX545M was at 3 feet away. SureCall very modestly calls this a 1500-2000 square foot booster. In my experience it had a lot better performance than that. I think you could put this in a 3,000 square foot home and if you positioned the panel antenna in the right place you could easily cover it. I know that I still fad 4 bars, 25 feet from the booster and that means if you positioned it in the center of a 2,500 square foot space you could get 4 bars throughout. I know I have to be careful making promises but honestly folks, this is the most powerful booster I’ve tested. Not everyone needs a booster that gives you this much power. A lot of people are going to be pleased with the EZ4G which doesn’t require an outdoor antenna and should cover the average home. However, if you have a larger space to cover and you’re considering boosters from other manufacturers that run as high as $899, you need to know that this booster does a great job at a lot lower price. In fact I really think the folks at SureCall are being very modest with their specs, which is pretty refreshing, right? The Fusion4Home is available in four different configurations, now at Solid Signal.